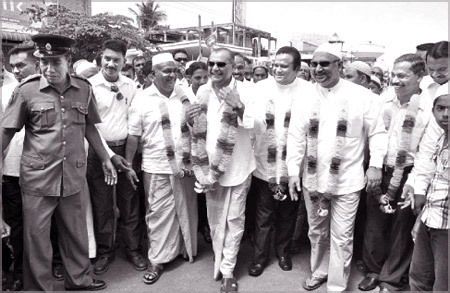 Central Province Chief Minister Sarath Ekanayake being anointed oil at Kandy Dalada Maligawa Natha Devalaya. 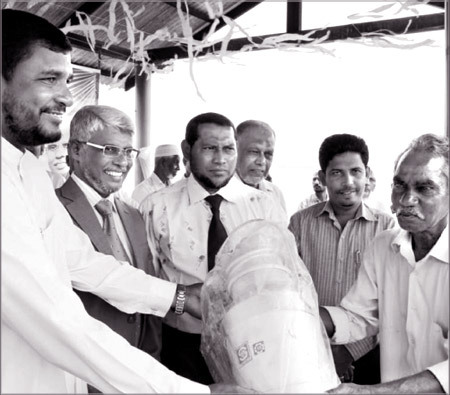 The Automobile Association of Ceylon (AAC) headquarter building new southern wing extension was opened by Civil Aviation Minister Piyankara Jayaratne recently. 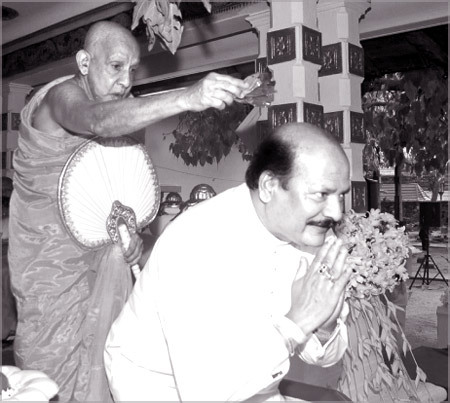 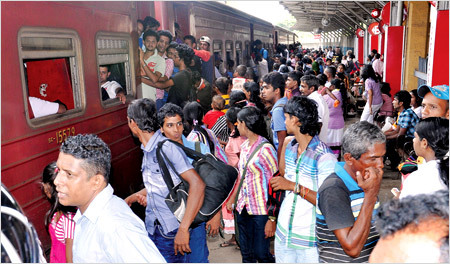 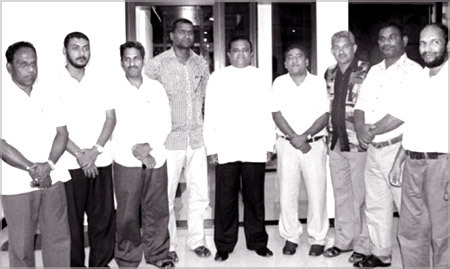 Here, Civil Aviation Minister Piyankara Jayaratne, Culture and the Arts Minister T.B. 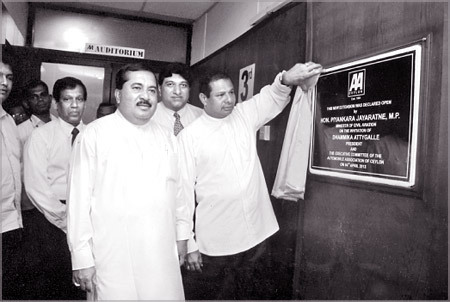 Ekanayake, AAC President Dhammika Attygalle and Secretary D. Hettiarachchi at the opening ceremony. 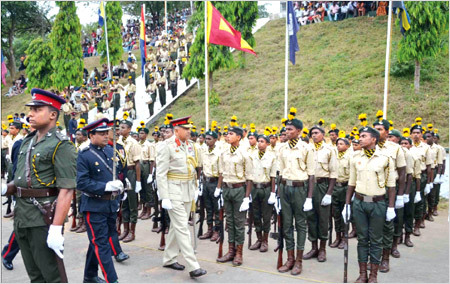 The passing out parade of the annual battalion assessment camp of 07 and 14 battalions of the National Cadet Corps (NCC) was held at the NCC parade grounds Rantambe under the patronage of NCC Director Major General Gamini Jayasundara on the direction of Defence Secretary Gotabhaya Rajapaksa. 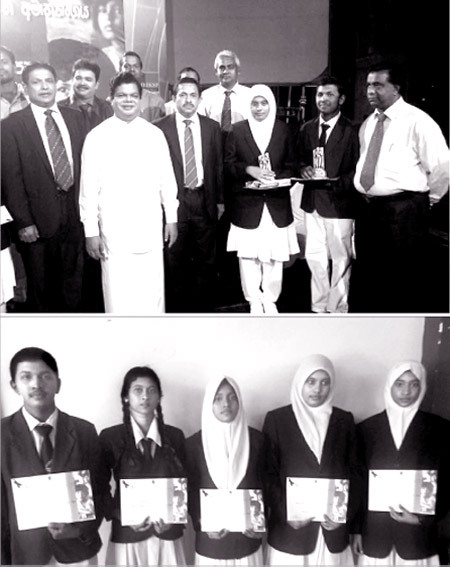 Nittambuwa Sangabodhi Vidyalaya won the champions’ trophy of the seventh battalion while Naththandiya Dhammissara Central College bagged the champions’ trophy of the 14th battalion. 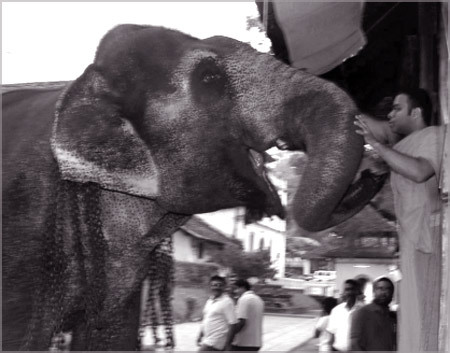 Here Major General Jayasundara inspecting the parade.